Our pets can't speak for themselves, but you can tell when your family friend is hurting. Perhaps they're having a bit of a difficult time getting up after resting, or more reluctant to jump up into your lap or go outside for a walk. Once boisterous and full of energy, your pet may now seem to slow down, have some difficulty walking, tire easily or seem less exuberant or even restless-and seeing them in pain makes you feel helpless, doesn't it? Now there's something you can do to help: Pet Bounce. 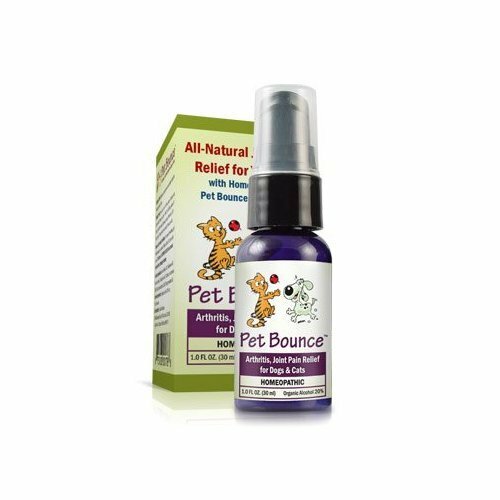 Pet Bounce is an all-natural, plant-based homeopathic blend designed to help alleviate the symptoms your pet may be experiencing safely and without side effects, so your family friend can resume activity with better mobility and more comfort. 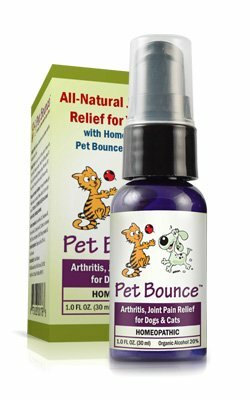 All this makes Pet Bounce one of the most complete joint health support products for pets on the market today. Order today! Your favorite cat or dog will thank you.